Brian Dunning, creator of the Skeptoid podcast and the world’s worst “science” rap video, pled guilty to wire fraud that had allowed him to collect more than $5 million. Sentencing has finally occurred, and the result is 15 months in prison starting on September 2, 2014, followed by three years of supervised release. This is great news for the skeptic community at large, since it may be a long enough sentence for Dunning to fade from memory and stop publicly representing the very people who are supposedly trying to stop people from defrauding others. The crime in this case was motivated by pure greed….This was no “smash and grab,” motivated by poverty, hunger, or substance abuse, but rather a clever, sophisticated, calculated criminal scheme carried out over several years by a man who certainly had no pressing need for the money. Callaway then cites scientific evidence suggesting that harsh sentencing for “white-collar” criminals may present a greater deterrence than “blue-collar” crimes, which tend to be more spontaneous crimes of passion compared to the pre-meditation of something like wire fraud. The enhanced deterrence value of a prison term would be all the greater in Mr. Dunning’s case, as he is at least somewhat of a “public figure” by virtue of his podcast, “Skeptoid: Critical Analysis of Pop Phenomena,” which he claims has a weekly audience of 179,000 listeners. Mr. Dunning has written five books based on the podcast, and he even has a “rap” video. On the plus side, this prison sentence could potentially do wonders for Dunning’s rap career. But let’s hope not. The establishment of the Quantico, VA-based unit, which is also staffed by agents from the U.S. Marshals Service and the Drug Enforcement Agency, is a response to technological developments that FBI officials believe outpace law enforcement’s ability to listen in on private communications. While the FBI has been tight-lipped about the creation of its Domestic Communications Assistance Center, or DCAC — it declined to respond to requests made two days ago about who’s running it, for instance — CNET has pieced together information about its operations through interviews and a review of internal government documents. We all know that inequality has been rising and the average American household has been suffering. There is a myth that says all this suffering is necessary, that extreme inequality is the by-product of a rapidly growing economy—or worse, that it’s a good thing because it motivates everyone to work hard and climb the long ladder to the One Percent. Even a brief glance at the historical record reveals just how perverted this hypothesis is. So income inequality hasn’t been “growth-enhancing” at all. In fact, just the opposite. The United States isn’t alone in this experience. Economists at the International Monetary Fund recently compiled the most comprehensive data set to date: 140 countries over 6 decades. They consistently found that countries with less inequality experienced stronger, more sustained economic growth and fewer, less severe recessions. It’s been widely publicized, for example, that Europe has suffered from higher unemployment than the United States in recent years. Many Americans falsely believe that Europe is more equal than the U.S., but a new data set compiled by the economist James Galbraith and the University of Texas Inequality Project shows inequality between countries and regions across Europe for the first time—and they find that Europe has had higher inequality than us since the 1970s. It’s only within specific countries that inequality is lower than the U.S., and guess what: Those countries tend to have lower unemployment than us. The reason is quite simple: Those workers are also consumers. 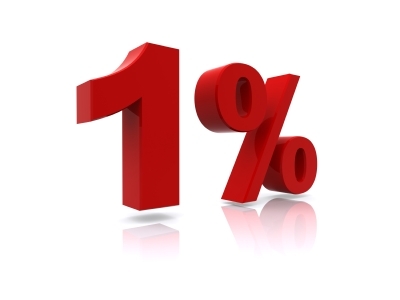 When the 99 Percent earn more, they spend more, and the One Percent can produce more and earn more themselves. Or, as the late economist Michal Kalecki used to say, “The workers spend what they get and the capitalists get what they spend.” What he meant by that was that the rich can afford to save more of their income—and, indeed, we find that the One Percent continue to save 15 to 25 percent, while the saving rate of the 99 Percent has plummeted close to zero. If too much money goes to the One Percent and not enough to the 99 Percent, the economy will save more and more and spend less and less, until there isn’t enough consumer demand to justify increasing production and investment. Thus, the economy will slow down. 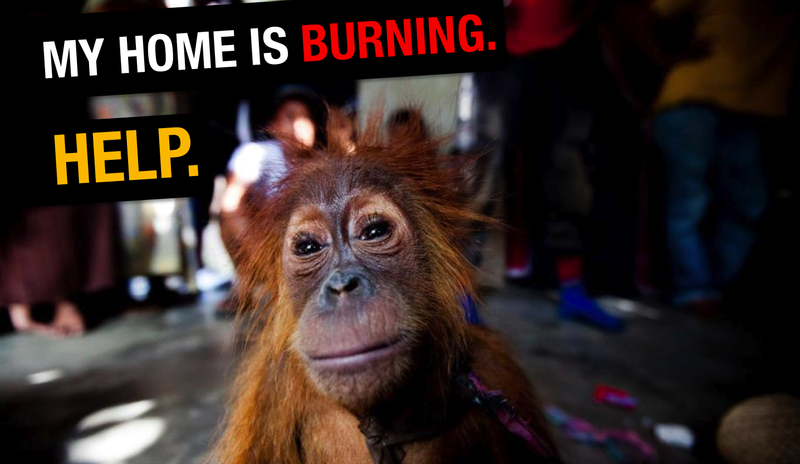 Hundreds of orangutans are believed to have died in fires deliberately lit by palm oil companies. 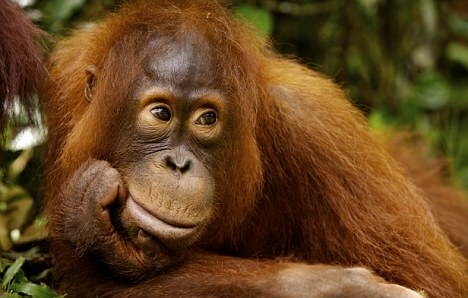 Conservationists say the rare Sumatran orangutan could be wiped out within weeks. ‘It is no longer several years away, but just a few months or even weeks before this iconic creature disappears,’ said Briton Ian Singleton, of the Sumatran Orangutan Conservation Programme. The apes, which live in the Tripa forest on the coast of Aceh province in northern Indonesia, have had to flee the flames as fires wipe out their habitat – and palm oil companies have been blamed for starting the blazes. The companies have already been accused of offering a bounty for the heads of orang-utans in Borneo after blaming the animals for destroying their young palm trees – but conservationists say the animals have had to encroach on the plantations because their own habitats have been destroyed. The Daily Mail revealed the bounty hunt earlier this year with a sad photo of a mother trying to protect her baby as Indonesian palm oil workers moved in for the kill. Fortunately on that occasion wildlife officials were on hand to rescue the pair and move them to a safe area. 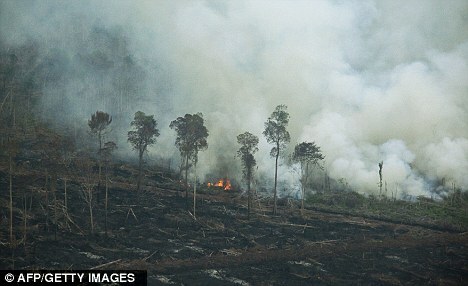 Now the new threat to the Sumatran orangutan has erupted in the officially protected Tripa forest, which is hemmed in by palm oil plantations. Land clearing fires have been started inside the forest, resulting in the animals fleeing – but hundreds are feared to have died in the flames because Indonesians in the employ of the palm oil companies have been accused of driving them back into the flames. Dr Singleton, originally from Hull, said the remaining orangutans will die either in the fires or of gradual starvation and malnutrition as their food resources disappear. How can something be a half truth? 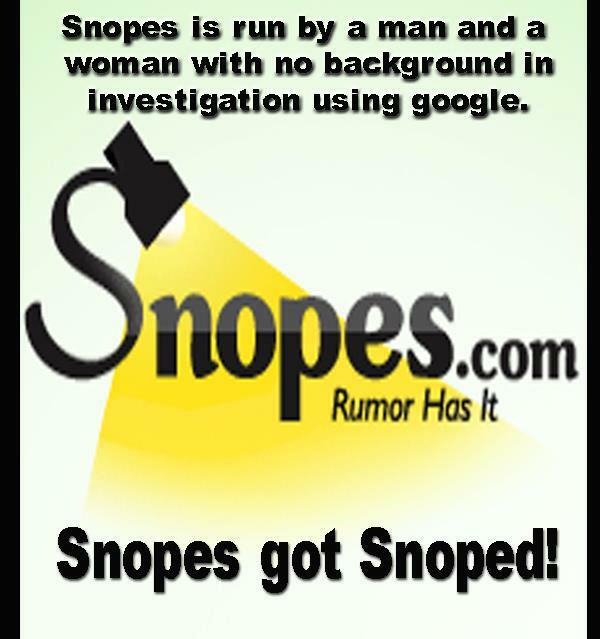 Well thanks to snopes.com, you have their personal opinion attached to it. How is this possible you ask? I just think it’s great when you research some fact, to find out if a rumor is true, that you get some dude’s personal opinion on top of it. Maybe they’re cofused on the idea no one is interested in them individually, but just the damn information. Life is complicated, but I thought this was a yes or no question? Multiple choice style questions cannot have a half truth. Hasn’t this been ingrained in us at an early age that when we draw cute dinosaur pictures instead of answering a series of true or false question, that you’re going to fail? Oh you might get an additional one point for your prehistoric image, but you fail. 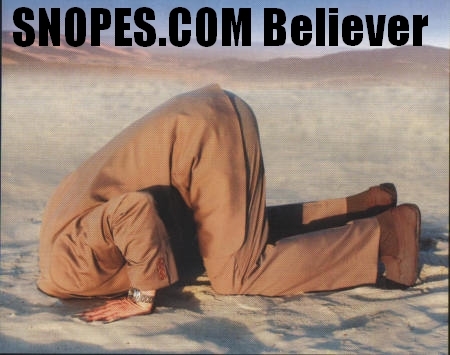 I recently contacted Snopes in response to a attack on one of my articles. The title is “Coca Cola Phosphric Acid”, and it is a brief description of the weird alternative uses you can use with coke in a pinch. Nothing in my article is incorrect, but somehow they managed to reference my article as incorrect. Confused, well me too but let’s carry on. Food-grade phosphoric acid (additive E338) is used to acidify foods and beverages such as various colas, but not without controversy regarding its health effects. It provides a tangy or sour taste, and being a mass-produced chemical is available cheaply and in large quantities. The low cost and bulk availability is unlike more expensive seasonings that give comparable flavors, such as citric acid which is obtainable from citrus, but usually fermented by Aspergillus niger mold from scrap molasses, waste starch hydrolysates and phosphoric acid. You know its funny, even if the article says, ” Food-grade phosphoric acid (additive E338) is used to acidify foods and beverages such as various colas, but not without controversy regarding its health effects.” My question wasn’t about if it was safe to drink but that it only contained Phosphoric Acid. If they could add this important rumor to their collection of urban lies. They didn’t even answer my question properly. Well, That just simply doesn’t matter. That’s it guys, I was totally wrong all these years, time to pack it up. My doctor, nutritionist, and health professional was all wrong. Its Damn safe, sorry for the confusion. Let alone what my dentist would say about this. Even with small amounts, these professionals would have a field day. I could go on for hours referencing just about any other profession in the world. Well you see where I am going with this. Since then, I have attempted to contact them, stick to my guns and ask them to update one little simple fact that Coca Cola does contain these dangerous chemicals. No response! Very typical when you have something to hide. Really suspicious when you do some investigation into their Coke lore section. Very one sided, like they are trying to promote the health benefits of coke, I mean coca cola. Are you guys being paid to promote cola’s? I mean how can you say Coca Cola used to contain Coke, that it is only a half truth? Either its true or not, enough with your bullish% opinions! True or False, or close down your site. No one needs to be more confused after visiting your misleading urban legends. Busted! The restoration of clean drinking water through the removal of toxic fluoride is another example of how governments can no longer contain their lies, in this case the 60-year old deception of fluoride. Almost the entire world is now coming full circle to the health consequences of poisoning the water supply with fluoride. Most developed nations, including all of Japan and 97% of western Europe, do not fluoridate their water. Israel was recently added to that list. Many communities, over the last few years, stopped fluoridation in the US, Canada, New Zealandand Australia. Recently, both Wichita, Kansas and Portland, Oregonrejected fluoridation 60% to 40%. Hamilton, NZ, councilors voted 7-1 to stop 50 years of fluoridation after councilors listened to several days of testimony from those for and against fluoridation. Windsor, Ontario, stopped 51 years of fluoridation. Sixteen regional councils have halted or rejected fluoridation in Queensland since mandatory fluoridation was dropped there in Nov. 2012. Dr. Manfred Spitzer knows that people find his arguments provocative. In his first book, he warned parents of the very real dangers of letting their children spend too much time in front of the TV. Now, in a second book called Digitale Demenz [Digital Dementia], he’s telling them that teaching young kids finger-counting games is much better for them than letting them explore on a laptop. Because everything a person does leaves traces in the brain. When development is optimum, memory links are formed and built on during the first months and years of life, and the structure adds up to a kind of basic foundation for everything else we learn. Scientists call this ability of the brain to adjust to new challenges “neuroplasticity.” It is one of the reasons for the evolutionary success of the human species. Spitzer also sees it as a source of present danger. When drivers depend exclusively on their navigation technology, they do not develop the ability to orient themselves, although of course the brain offers them the possibility of learning how to do so. The same applies to children who use electronic styluses on a SMART board instead of learning how to write — the brain is kept in check. And because computers take over many classrooms and other functions that are actually good practice for kids, “it inevitably has a negative effect on learning,” Spitzer argues. Stating that there have so far been no independent studies “that unequivocally establish that computers and screens in the classroom makes learning any more effective,” Spitzer goes so far as to recommend that digital media be banned from the classroom. Even more drastically, he writes: “In reality, using digital media in kindergarten or primary school is actually a way of getting children addicted.” Strong stuff for the generations who take computers and the Internet for granted, using them as a source of information and a space to communicate via social networks — and who enjoy doing so. The Internet has become the fourth cultural technology, alongside reading, writing and arithmetic. Spitzer quotes Swiss pedagogue and educational reformer Johann Heinrich Pestalozzi (1746-1827), who wrote that the process of learning involves the heart along with the brain and the hands. He believes it would be better if kids learned finger games to help them deal with numbers, instead of relying on computers. In a country like Germany, whose major resource is smart people and innovative ideas, maybe we should be taking Spitzer’s warnings more seriously. Wolfram Alpha will soon be able to read your mind, its creator Stephen Wolfram said at the South By Southwest (SXSW) conference in Austin today. Speaking at the US technology conference on Monday, Wolfram predicted that his analytics engine will soon work pre-emptively, meaning it will be able to predict what its users are looking for. Speaking during a talk on the future of computation, Stephen Wolfram – the creator of Wolfram Alpha and the mastermind behind Apple’s Siri personal assistant – also showed off the engine’s new ability to analyse images. Wolfram said, “We’re now able to bring in uploaded material, and use our algorithm to analyse it. For example, we can take a picture, ask Wolfram Alpha and it will try and tell us things about it. That’s not the only new feature of Wolfram Alpha, as it can also now analyse data from uploaded spreadsheet documents. “We can also do things like uploading a spreadsheet and asking Wolfram [Alpha] to analyse specific data from it,” Wolfram said. This upload feature will be available as part of Wolfram Alpha Pro, a paid-for feature where Wolfram hopes the analytical engine will make most of its money. Wolfram Alpha Pro costs $4.99 per month, or $2.99 if you’re a student. Wolfram also showed off Wolfram Alpha’s ability to analyse data from Facebook, a feature that was announced last August. 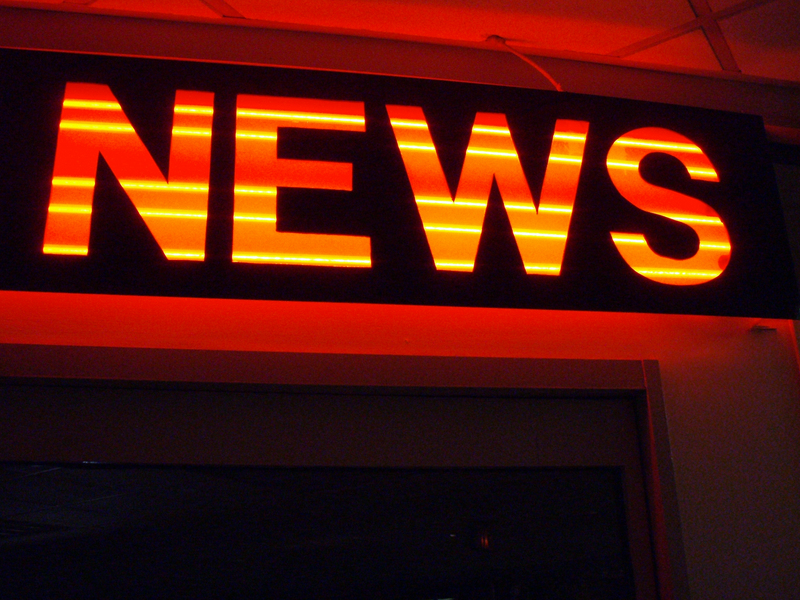 News is bad for your health. It leads to fear and aggression, and hinders your creativity and ability to think deeply. The solution? Stop consuming it altogether. In the past few decades, the fortunate among us have recognised the hazards of living with an overabundance of food (obesity, diabetes) and have started to change our diets. But most of us do not yet understand that news is to the mind what sugar is to the body. News is easy to digest. The media feeds us small bites of trivial matter, tidbits that don’t really concern our lives and don’t require thinking. That’s why we experience almost no saturation. Unlike reading books and long magazine articles (which require thinking), we can swallow limitless quantities of news flashes, which are bright-coloured candies for the mind. Today, we have reached the same point in relation to information that we faced 20 years ago in regard to food. We are beginning to recognise how toxic news can be. The researchers are interested in analyzing what people write on Facebook or in other social media. By analyzing stories written by students and looking at how the text people generate using social media relates to scores on the Self-Report Psychopathy scale. Psychopaths appear to view the world and others instrumentally, as theirs for the taking, the team, which included Stephen Porter from the University of British Columbia, wrote. As they expected, the psychopaths’ language contained more words known as subordinating conjunctions. These words, including “because” and “so that,” are associated with cause-and-effect statements. “This pattern suggested that psychopaths were more likely to view the crime as the logical outcome of a plan (something that ‘had’ to be done to achieve a goal),” the authors write. While most of us respond to higher-level needs, such as family, religion or spirituality, and self-esteem, psychopaths remain occupied with those needs associated with a more basic existence. Their analysis revealed that psychopaths used about twice as many words related to basic physiological needs and self-preservation, including eating, drinking and monetary resources than the nonpsychopaths, they write. Jeffrey Hancock, the lead researcher and an associate professor in communications at Cornell University said, “the nonpsychopathic murderers talked more about spirituality and religion and family, reflecting what nonpsychopathic people would think about when they just committed a murder”. Police and researchers are interested in analyzing what people write on Facebook or in other social media, since our unconscious mind also holds sway over what we write. By analyzing stories written by students from Cornell and the University of British Columbia, and looking at how the text people generate using social media relates to scores on the Self-Report Psychopathy scale. Unlike the checklist, which is based on an extensive review of the case file and an interview, the self report is completed by the person in question. This sort of tool could be very useful for law enforcement investigations, such as in the case of the Long Island serial killer, who is being sought for the murders of at least four prostitutes and possibly others, since this killer used the online classified site Craigslist to contact victims, according to Hancock. Text analysis software could be used to conduct a “first pass,” focusing the work of human investigators, he said. “A lot of time analysts tell you they feel they are drinking from a fire hose.” Knowing a suspect is a psychopath can affect how law enforcement conducts investigations and interrogations, Hancock said. Psychopaths are known to be wily and manipulative, but even so, they unconsciously betray themselves, according to scientists who have looked for patterns in convicted murderers’ speech as they described their crimes. The researchers interviewed 52 convicted murderers, 14 of them ranked as psychopaths according to the Psychopathy Checklist-Revised, a 20-item assessment, and asked them to describe their crimes in detail. Using computer programs to analyze what the men said, the researchers found that those with psychopathic scores showed a lack of emotion, spoke in terms of cause-and-effect when describing their crimes, and focused their attention on basic needs, such as food, drink and money. While we all have conscious control over some words we use, particularly nouns and verbs, this is not the case for the majority of the words we use, including little, functional words like “to” and “the” or the tense we use for our verbs, according to Jeffrey Hancock, the lead researcher and an associate professor in communications at Cornell University, who discussed the work on Oct. 17 in Midtown Manhattan at Cornell’s ILR Conference Center. “The beautiful thing about them is they are unconsciously produced,” Hancock said. These unconscious actions can reveal the psychological dynamics in a speaker’s mind even though he or she is unaware of it, Hancock said. Psychopaths make up about 1 percent of the general population and as much as 25 percent of male offenders in federal correctional settings, according to the researchers. Psychopaths are typically profoundly selfish and lack emotion. “In lay terms, psychopaths seem to have little or no ‘conscience,'” write the researchers in a study published online in the journal Legal and Criminological Psychology. Psychopaths are also known for being cunning and manipulative, and they make for perilous interview subjects, according to Michael Woodworth, one of the authors and a psychologist who studies psychopathy at the University of British Columbia, who joined the discussion by phone. Criminal Minds Are Different From Yours, “It is unbelievable,” Woodworth said. “You can spend two or three hours and come out feeling like you are hypnotized.” While there are reasons to suspect that psychopaths’ speech patterns might have distinctive characteristics, there has been little study of it, the team writes. To examine the emotional content of the murderers’ speech, Hancock and his colleagues looked at a number of factors, including how frequently they described their crimes using the past tense. The use of the past tense can be an indicator of psychological detachment, and the researchers found that the psychopaths used it more than the present tense when compared with the nonpsychopaths. They also found more dysfluencies — the “uhs” and “ums” that interrupt speech — among psychopaths. Nearly universal in speech, dysfluencies indicate that the speaker needs some time to think about what they are saying. With regard to psychopaths, “We think the ‘uhs’ and ‘ums’ are about putting the mask of sanity on,” Hancock told LiveScience.